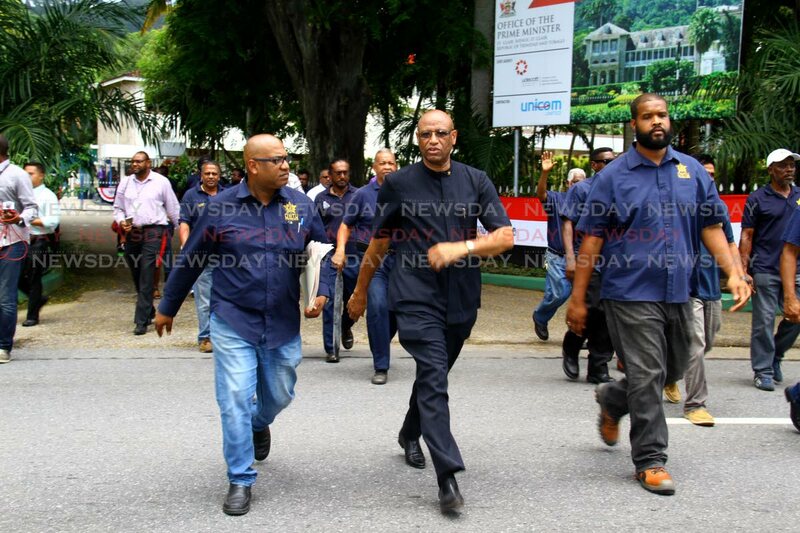 THE Opposition United National Congress (UNC) is prepared to meet with the Oilfield Workers Trade Union (OWTU) to discuss the restructuring of state oil company Petrotrin. Addressing a UNC public meeting in Claxton Bay on Monday night, party leader Kamla Persad-Bissessar disclosed that the OWTU has sought a meeting with the Opposition. Recalling the “beautiful mannequin in yellow” the OWTU referred to while she was prime minister, Persad-Bissessar said she bears no malice towards the union. The OWTU has blamed the UNC and the People’s National Movement for the state of affairs at Petrotrin. While saying the UNC could make no guarantees to the OWTU, Persad-Bissessar said the party will keep an open ear and mind to the union’s proposals. But she said the union and Petrotrin workers “also have to make sacrifices” to help the company. Persad-Bissessar said there have been several questionable practices at Petrotrin over time. She added the OWTU “must accept that some of its own members are involved in this at times and they should also root them out.” As an example, Persad-Bissessar said it cost $4,000 to inspect a vehicle in Petrotrin but $300 at the Licensing Authority. She claimed the Prime Minister was the servant of “ the one per cent” and many of these people paid their workers below the minimum wage. Pointe-a-Pierre MP David Lee reiterated the UNC’s claims there was a secret buyer for Petrotrin’s Pointe-a-Pierre refinery. Oropouche East MP Dr Roodal Moonilal said the planned closure of the refinery and the purchase of fast ferries from Australia were part of Dr Rowley’s “merchant” mentality. He claimed that “whenever the buyers of this refinery” show up, Rowley is ready to go home. Couva South MP Rudranath Indarsingh compared the restructuring of Petrotrin to the closure of Caroni (1975) Ltd. Princes Town MP Barry Padarath said Rowley was not caring for the population but scaring them. Reply to "UNC invites OWTU to discuss Petrotrin"